Jason Benjamin’s subject, Paul Kelly, is one of the great Australian singer/songwriters, known for his skill as a storyteller and his ability to cross musical boundaries. His influential career has spanned more than 30 years and he was inducted into the ARIA Hall of Fame in 1997. ‘For anyone my age it is virtually impossible not to know PK,’ says Benjamin. ‘I approached him five years ago and this is what we’ve arrived at. The great canon of work he’s produced, and the work he continues to make, made this portrait a very daunting prospect to say the least. Born in Melbourne in 1971, and now based in Sydney, Benjamin is known for his emotionally charged, visually lush landscapes, still lifes and portraits. 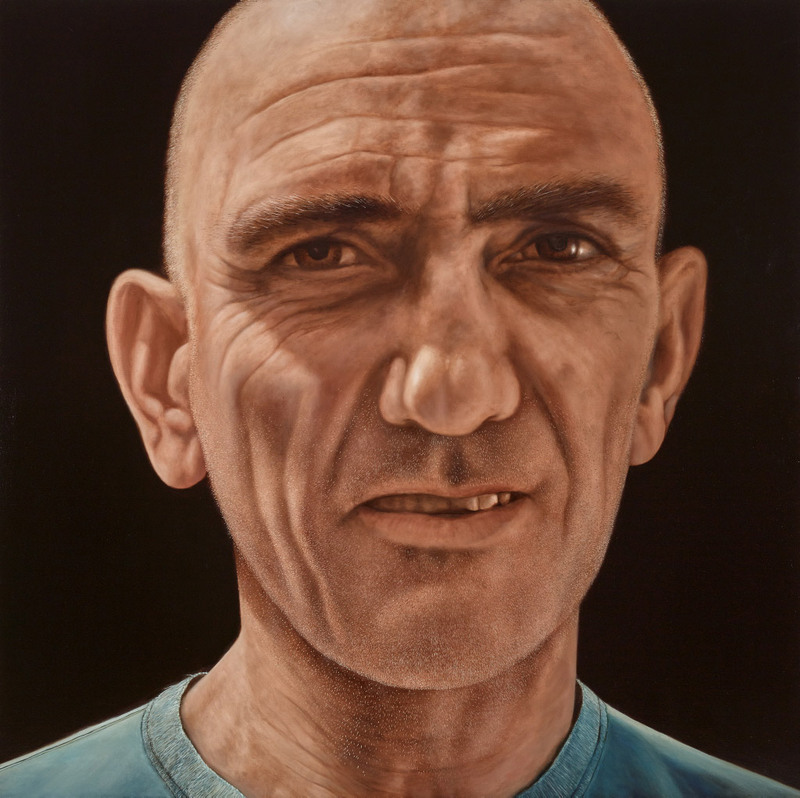 He has been in the Archibald Prize on five previous occasions and won the Packing Room Prize in 2005 with a portrait of actor Bill Hunter.